Stockbridge, MA, October 3, 2018—Norman Rockwell Museum has been selected to participate in the Barr-Klarman Massachusetts Arts Initiative. A partnership between two Boston-based foundations – Barr and The Klarman Family Foundation – the initiative is a $25 million, six-year investment in 29 arts and cultural organizations from across Massachusetts. 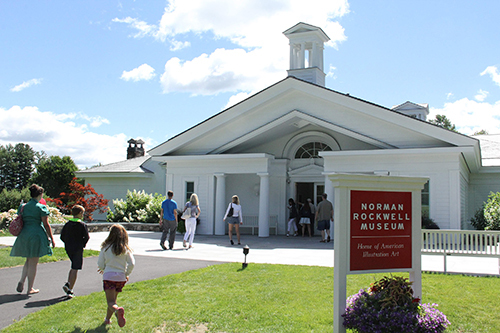 Norman Rockwell Museum’s engagement in the initiative involves grants totaling $612,000 over the next three years. Participating organizations in the Barr-Klarman Massachusetts Arts Initiative receive flexible, multi-year operating support grants, in addition to training and technical assistance from TDC, a nonprofit consulting and research firm.